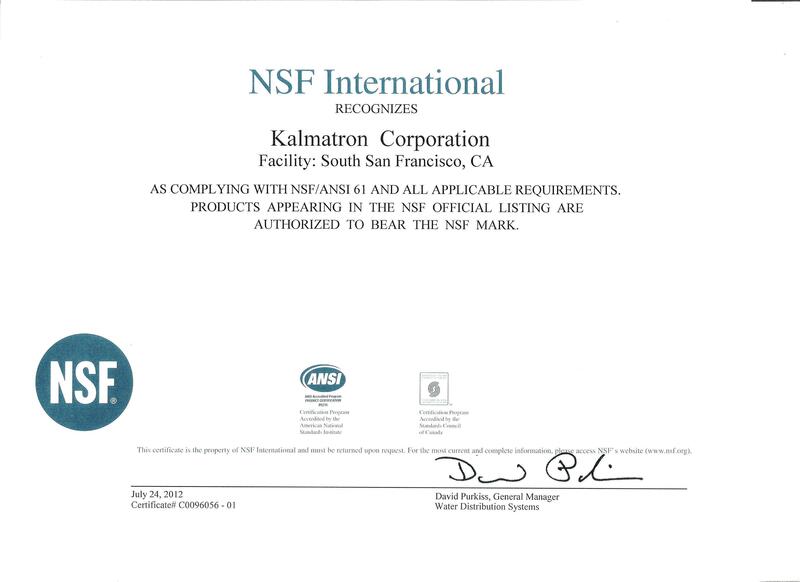 The "Kalmatron® Corporation" provide unique shotcrete mix design with KALMATRON® KF-A admixture for restoration of concrete liquids impermeability, superficial density and compressive strength. The application was provided by the staff of the "Department of Water & Power City of Los Angeles." 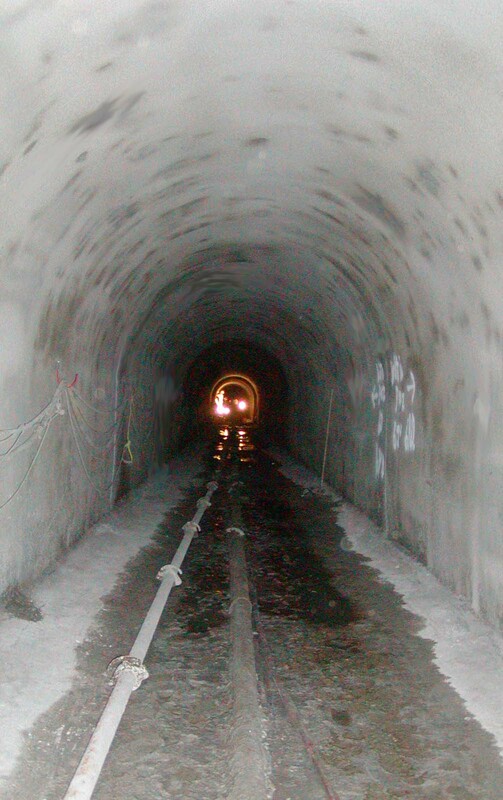 The necessity to repair both external and internal sides of the aqueduct created two different shotcrete mix designs and technologies of application. 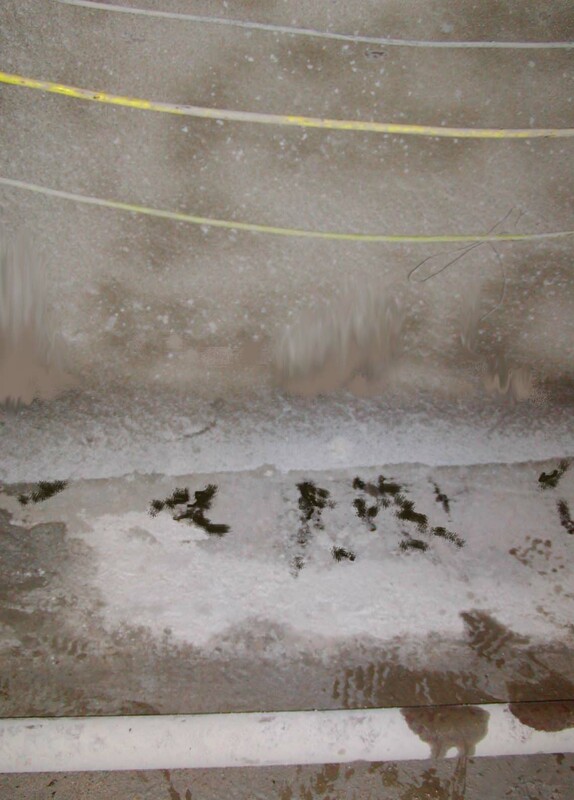 The simplicity and efficiency of the equipment and the admixture to the shotcrete mix KALMATRON® KF-A allowed to stop leakages of water and oil without preliminary crack patching jobs, plugging of leaking holes, placing drainage pipes, et. With limited time per shift, it greatly economized labor expenses and construction time. 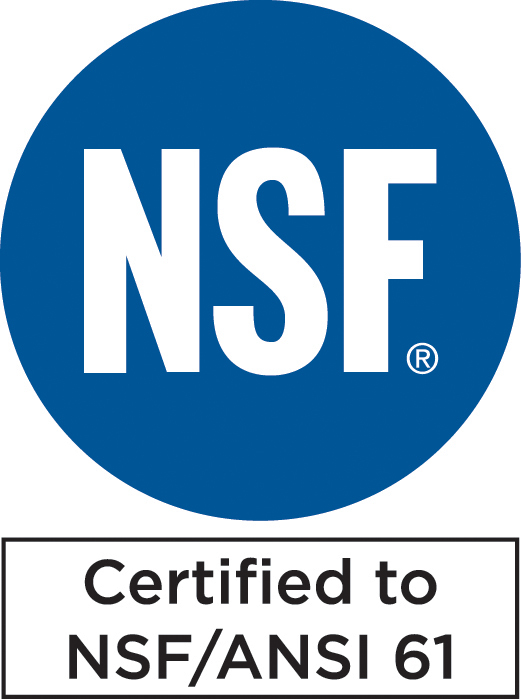 Highest performance of applied particular mix design classified it as the PLASTCRETE Remedial Layer. Massive damage to concrete during almost 10 decades caused leakages of underground water and crude oil through the concrete from overlying geological deposits. 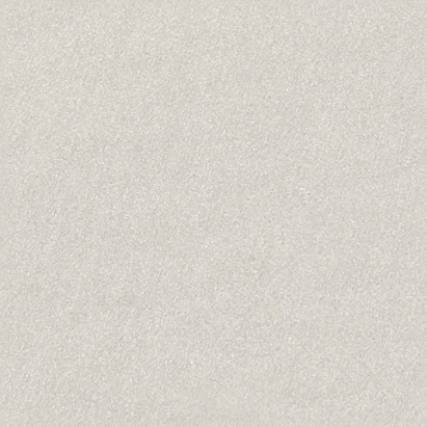 The mix design is simple - a rationed blend of sand, cement, KALMATRON® KF-A and water. 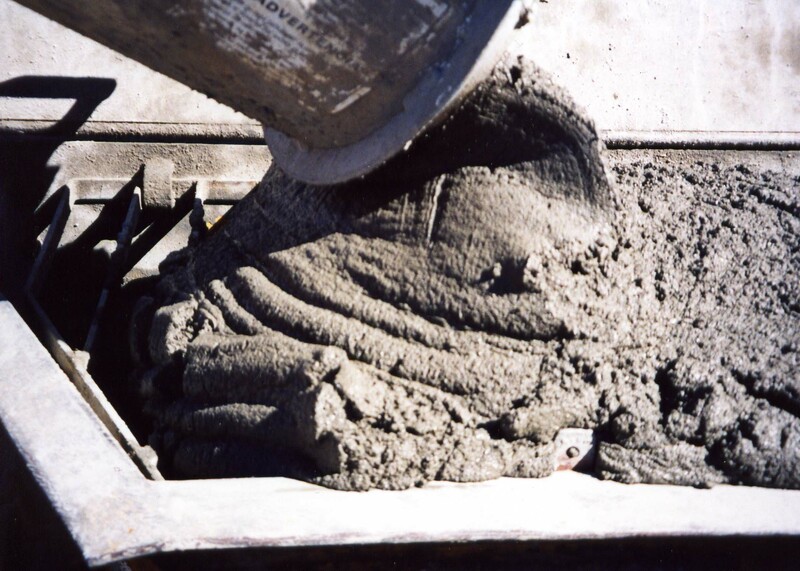 Slump of the batch at 3 1/2" allowed to avoid sliding of fresh shotcrete from the soaked vertical surfaces and for stopping persistent leaks with highest performance of application. 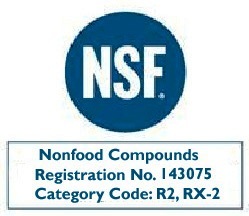 with a water to cement ratio below 0.42 achieved with KALMATRON® KF-A application as 17 Lbs/cu. yd. Slump measured after KALMATRON® KF-A premix is 2.56" with pumpability up to 500 feet of hose length without added Water Reducer and Super Plasticizer. exothermic heat by at 30% to 50%. 12 hours after PLASTCRETE application oil leaks from ceilings and walls have demigrated on the floor. The high density of the PLASTCRETE matrix isolates any leaks between the original concrete surface and the new PLASTCRETE layer. 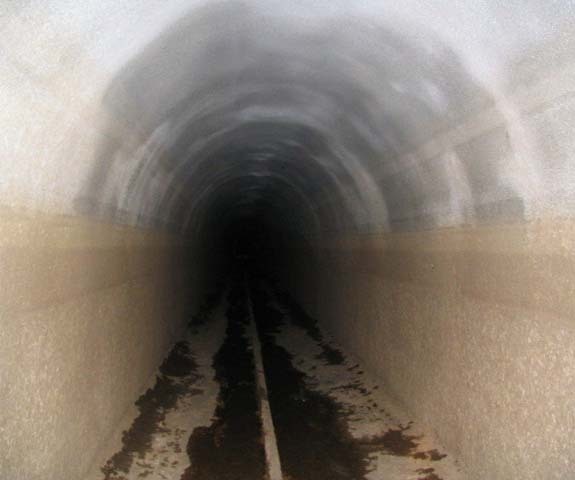 Internal view of the aqueduct 24 hours after PLASTCRETE application. Since thickness of the coat is not uniformed some places have had spotty leakages of crude oil. A patch of KALMATRON® KF-C stops an oil leak on the ceiling in a one step application. Fragment of an aqueduct wall 24 hours after PLASTCRETE application. 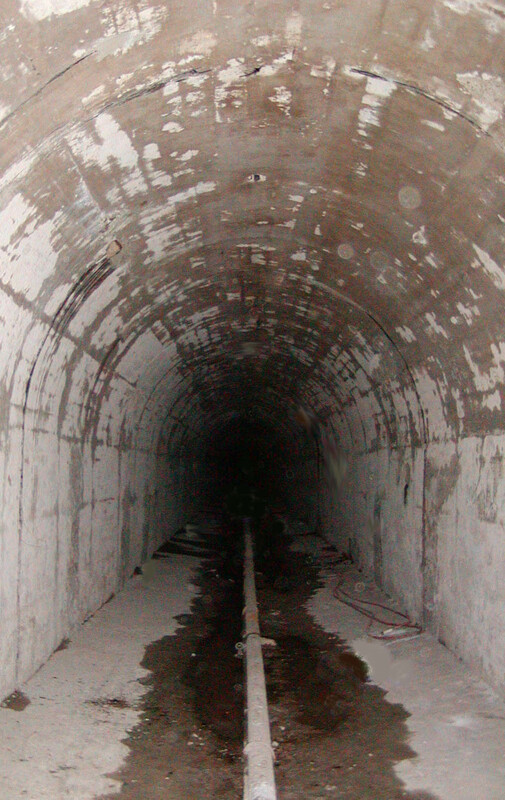 Most external damage to aqueducts occurs as the structure's concrete ages and gradually deteriorates under cycling temperatures. In accordance with the project, the external concrete of an aqueduct is renovated through reinforcement with structured rebar and massive application of PLASTCRETE. The concrete of the excavated area was reinforced by structured rebar. 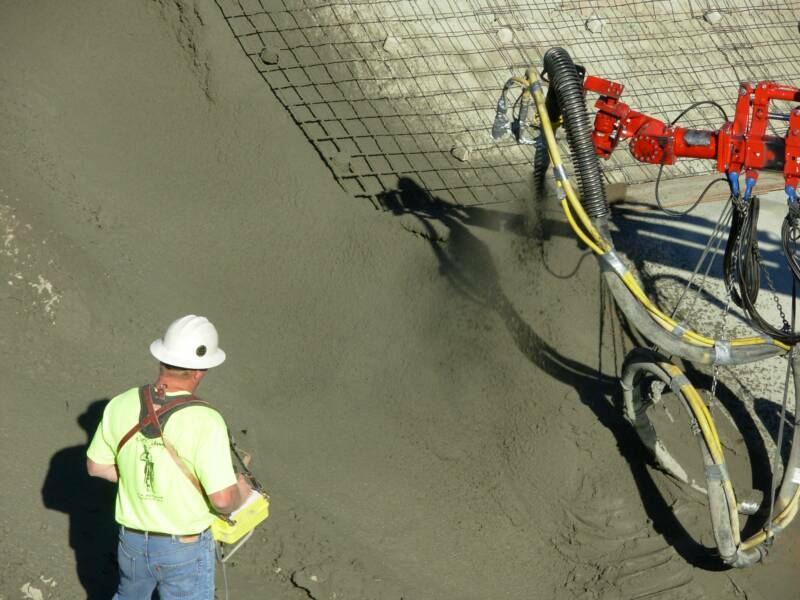 Shown above is the Robotic Arm engineered by "Shotcrete Technologies Inc." for maximum productivity and consistence of PLASTCRETE application. Reinforcing the external structure before PLASTCRETE application. Structured rebar forms a reliable shielding coat that improves the durability of the aqueduct. The Robotic Arm used for PLASTCRETE application provides a wide range of thickness from 1/4" to 1 foot with consistent homogeneity of applied layers. The Robotic Arm makes application possible from uppermost point of the structure to the ground line by one operator. walls with brawny patterns by natural organic contaminations. Despite on the hydraulic pressure of the entering waterfall, which is over 50 Bar, not one indication of damage was observed.